Shopping with Regal Pet Health is safe and secure … it is exactly the same as shopping with your credit card at a store. 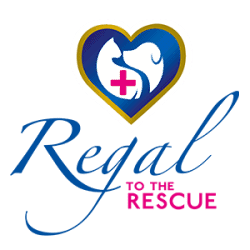 Regal Pet Health makes use of a extra level of security called 3D secure. During the credit card checkout stage, when paying via credit card, you will be prompted to enter your secret pin. (if you do not have a secret pin for online transactions you will need to contact your bank). This will stop fraudulent credit card attempts. Once you have entered in your pin correctly, your transaction will be processed. 3 Domain Security – is a new method of security mandated by the Card Associations to enhance the security of online transactions. Mastercard’s product is called “SecureCode” and Visa’s product is called “Verified by Visa”. Simply put the system authenticates the cardholder before the transaction takes place by diverting the browser to the bank that issued the card, who then request some secret, perhaps a pin, from their cardholder that will conclusively prove that this actually is the cardholder entitled to use this card. Once they are satisfied that this is their cardholder they issue an authentication receipt which is then presented to the merchants bank along with the authorisation request. If the transaction is then approved by the issuing bank they may not charge the transaction back to the merchant because the cardholder disputes the transaction as not being originated by them. Will it add extra time on to the customer checkout experience? The 3D Secure authentication process is smoothly integrated into the payment process and will usually only add a few seconds to the normal transaction time. A small price to pay for increased protection for you as the cardholder.